Boy, how busy summer was! For Screens 4.2, we have focused on some new features and many improvements all around the app to make it even better to use. We hope you enjoy this new version and can’t wait to hear what you think! This is a pretty cool feature. 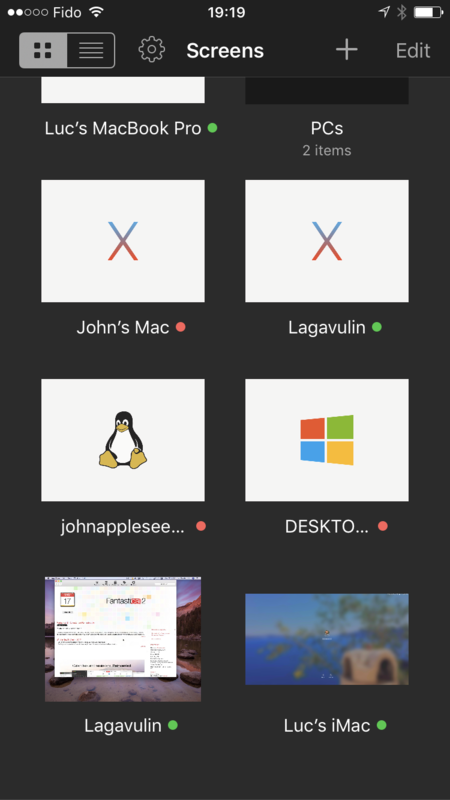 What if you could turn your iPhone into an external trackpad to control your computer’s cursor through Screens? Well, now you can! 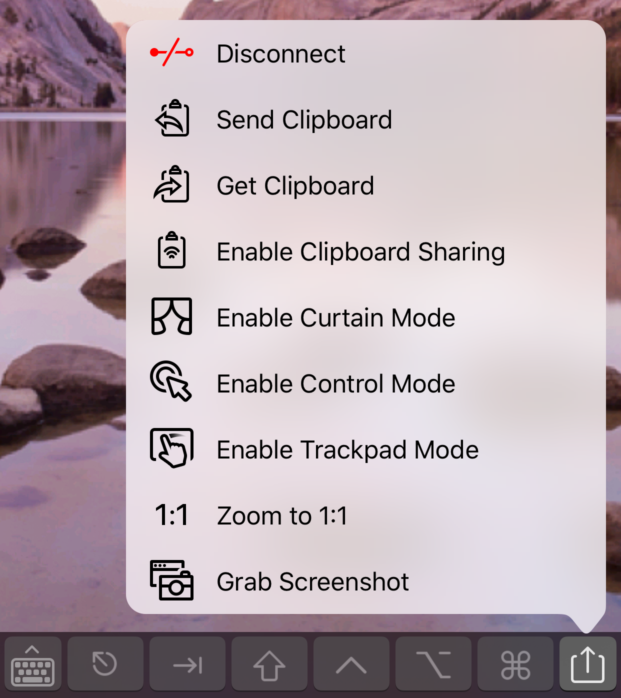 This is a neat addition to your iPad Pro and Smart Keyboard. 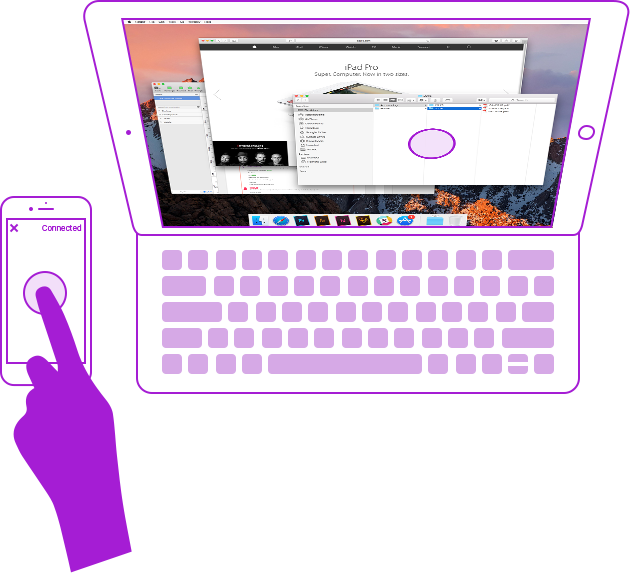 Once you’re connected to a computer on your iPad, Screens on your iPhone will display a “Start Mobile Trackpad” button. 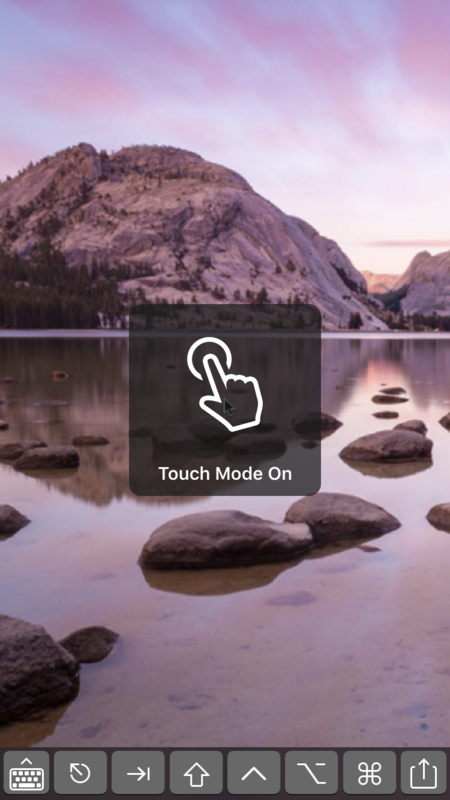 Simply tap to connect to Screens on your iPad and you’re ready to use your iPhone as a trackpad! Finally, some people would say! As you can tell from the screenshots in this blog post, we use this mode all the time and kinda regret not implementing it sooner. As you may know, Screens 4 was a free upgrade for all Screens 3 users. The app represents a big investment in time and effort to maintain and improve so we’re trying a new strategy: all new major features will now be offered as paid, optional components. We believe this is a fair way to ensure that we can keep improving the app and not having to go through the hell of creating a new app every major version and have our users pay again full price to upgrade. See those colored dots in the previous screenshot? These now tell you if a computer is available locally or via Screens Connect. We added labels to the App Actions and Screens will now display these in a popover on both iPad and iPhone. Screens now supports OpenGL ES 3, which improves rendering performance on 64bit devices. 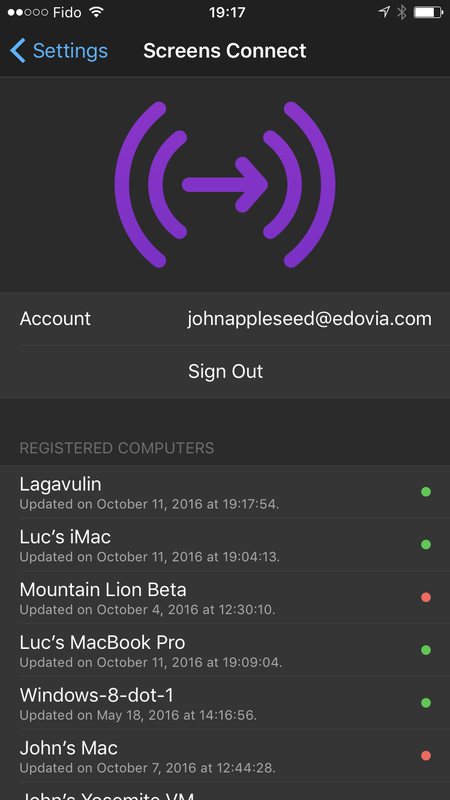 Improved URL scheme to support password-less authentication. Improved authentication with Linux and Raspberry Pi. Shared clipboard preference will now stick when selected from the App Actions popover. Screens will now automatically try to reconnect when the connection was lost. Control mode preference will now stick when selected from App Actions. Many, many UI improvements, stability and performance improvements all around. Screens 4.2 is available on the App Store for $19.99 and requires iOS 10. We are currently working on the next big update of our Mac version. It should be out early 2017 and will include all the new features introduced in Screens 4 for iOS. In the meantime, follow @edovia on Twitter for more information on the upcoming Beta and release date! 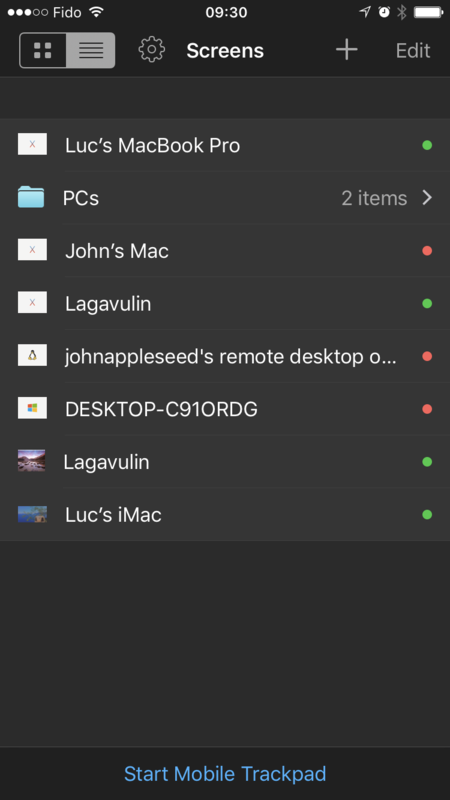 You can get Screens for macOS on the Mac App Store or through our Edovia Store.